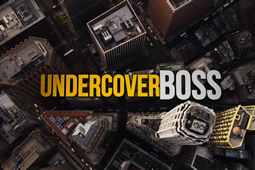 CBS has ordered a fourth season of Undercover Boss. Boss has been performing very strongly in its new Friday 8pm time slot, winning the night in the 18-49 demo since it started playing there in mid February. The show has received an Emmy nomination for Outstanding Reality Program for the last two years running.